In the past few months, the number one question I have been asked is “Will the cold winter have an effect on the emerald ash borer?” It’s sad but true that our cold winter will have very little effect on the emerald ash borer. An emerald ash borer larva lurks just under the bark of one of the Garden’s ash trees. As we know, the emerald ash borer overwinters as larva under the bark, and that alone gives it some winter protection. More importantly, the emerald ash borer has another very interesting overwintering strategy: “supercooling.” In the fall, as the borer senses the cooler temperatures, it begins to produce a natural antifreeze that allows it to survive well below 32 degrees without freezing. The borer can also purge its stomach of materials that could freeze, flattening out and folding over. They are often found in this folded-in position under the bark in spring—I have seen this firsthand when I scraped the bark off an ash in January. Researchers in Minnesota have determined that it takes a prolonged period of about minus 25 degrees Fahrenheit or more to kill the borer. Our lows this past winter only reached about minus 16 degrees Fahrenheit (twice), as recorded by the Chicago Botanic Garden’s weather station. So, in our area, the march of the emerald ash borer continues undisturbed by our nasty winter. If you have ash on your property, I recommend monitoring closely for signs of emerald ash borer; if you don’t see signs, it is only a matter of time. When you do discover the borer, begin treatments as soon as possible. Treatments are best made proactively—before you see signs of damage on the tree! You may wish to simply plan/budget to have your trees removed. 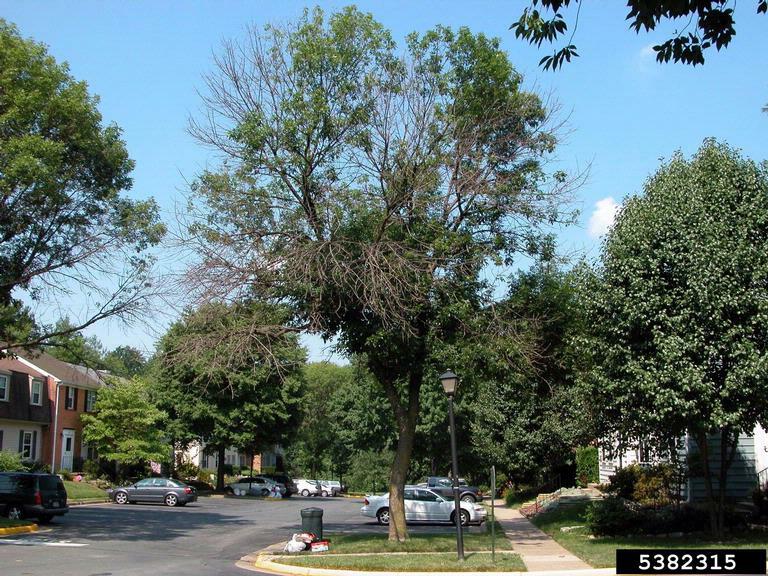 Be aware that dead ash trees are hazardous, not just for their spread of the beetle. They become brittle quickly and become a hazard as limbs fail and fall. The Garden is a great resource if you have questions or just want to learn more about the emerald ash borer. If you have recently removed ash trees, or have already scheduled removal and are looking for replacement trees, consider our list of ash tree alternatives. Drop by our Plant Information Service with your questions! Our new location is outside the Lenhardt Library. Click here to register online for one of two informational sessions, Emerald Ash Borer: What You Need to Know, from 10 a.m. to noon on Friday, May 16, and Saturday, May 17. This is a free seminar, but advance registration is required. Last summer we found our Wisteria was loaded with these emerald ash borer. We sprayed and this spring we are planning to move the bush as it is very near our pool. We have no ash trees on the property.